Over half of South Africa’s marshes and vleis have disappeared. Most of them reclaimed for industry and the construction of airports, harbours, and sewage treatment plants. In KwaZulu Natal alone 58% of the wetlands of the Mfolozi River catchment have vanished owing to siltation and overgrazing. Wetlands are historically regarded as ‘unhealthy’, even dangerous, because of their association with malaria, dampness and disease. They vary greatly in size and location. But broadly speaking wetlands – of which vleis, marshes, bogs, and swamps are examples – are likened to kidneys in the human body; they play a vital role in purifying water, regulating water flow, storing water to release it slowly, and easing the effect of droughts and floods. Many of them are protected as Ramsar sites. By 2025 South Africa will be water scarce; one of 14 countries classified as subject to water scarcity. The vlei at De Hoop Nature Reserve near Bredasdorp is one of the best birding sites close to Cape Town – 259 different bird types represent 70% of the 369 species known in the south-western Cape, including rare and threatened species. 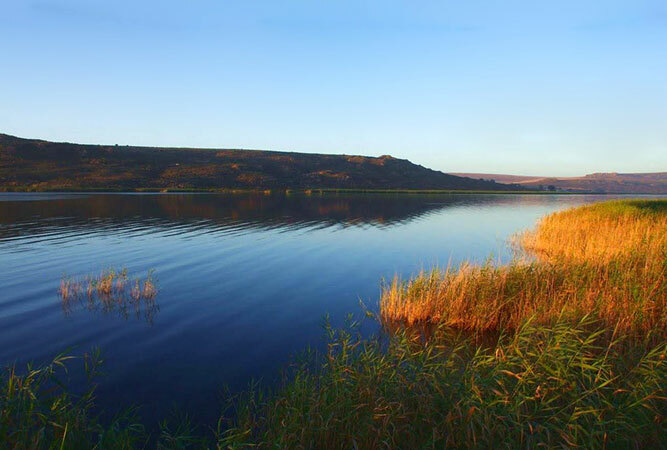 The 127 000 hectare vlei is fed by the Sout River and its tributary, the Potteberg River, but several fountains discharge water into the northern parts of the lagoon, making it is less brackish than lower parts of the vlei. This important Ramsar site lies 30 km east of a town called Bumbeni, one of four Ramsar sites in the iSimangaliso Wetland Park. The reefs, which are not true coral reef communities, nonetheless support 16 species of coral, 1 200 fish species, five species of marine turtles, 49 species of bird, and 41 species of marine mammal. The St Lucia estuarine system, part of the iSimangaliso Wetland Park, is the largest of the three estuarine coastal lake systems in the country. It covers 300 km² and is the most important nursery ground for juvenile marine fish and prawns on the east coast. 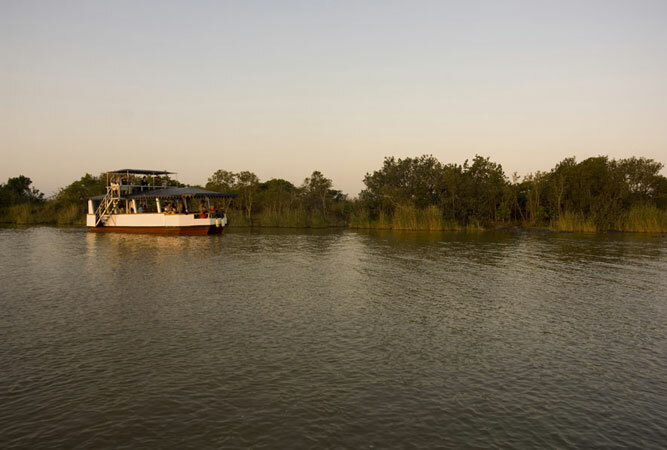 It is also a migratory bird staging area, a feeding ground for flamingos, and a breeding area for crocodiles. A recent regeneration project re-linked the system to the uMfolozi River. St Lucia had come under strain after being diverted from the river years ago, altering the lake’s fresh water supply and affecting the natural opening and closing of the St Lucia mouth. Wilderness lies between George and Knysna on the Garden Route. 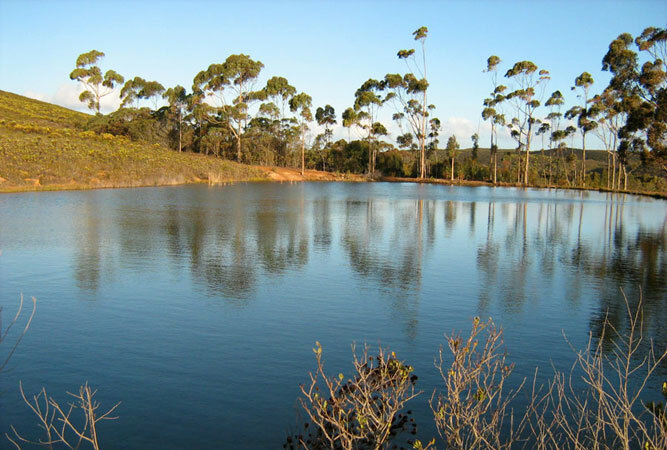 It protects an indigenous forest, fynbos and series of lakes – Eilandvlei, Langvlei and Rondevlei – connected by the Touw River; a major wetland that is home to five types of kingfisher, the grey heron, little egret and the Knysna loerie. The whole Wilderness water system is a Ramsar site. Verlorenvlei is one of the largest lakes in the country. It is also one of the few coastal freshwater lakes that is an important estuarine system, and one of the largest natural wetlands on the Cape West Coast. Its long estuary stretches between Elands Bay and Redelingshuys supporting over 189 bird species – 75 of which are water birds – and as many as 5 000 birds most of the time (20 000 occasionally). Verlorenvlei is under threat from a proposed mining operation in the Moutonshoek Valley (the source of the Vlei’s water). In the heart of the Waterberg, Nylsvley floodplain is one of the country’s largest, and least impacted, floodplain systems. It is also huge – 70 km long and 7 km at its widest point. 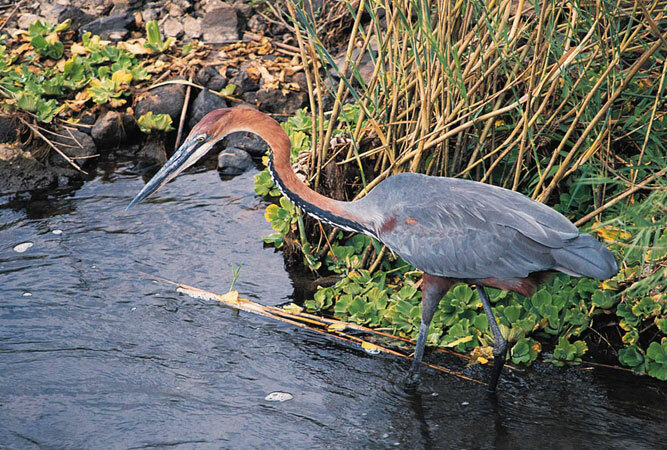 At least a dozen streams and rivers from the Waterberg bring water into the vlei and many red listed animal species are indigenous to the Nylsvley area. During a good rainy season about 80 000 birds make the reserve their home; a birding paradise. However, it too is under threat from mining interests (a potential open cast mine near the floodplain). Makuleke Wetlands is a floodplain vlei. Most of it lies within the Kruger National Park, south of Punda Maria. Not many people know about this system of riverine forests, floodplain grasslands, river channels and flood pans. The flood pans, depressions in the floodplain, are particularly important as they hold water into the dry season and provide safety for wildlife and water birds. The Makuleke wetlands have 31 of these floodpans, many of them a home for hippos. 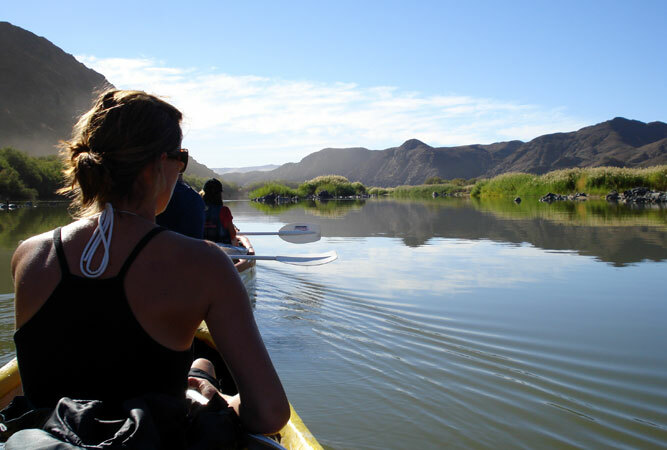 The Orange River mouth is the sixth-richest wetland in southern Africa. It lies on the Atlantic coast at the country’s border with Namibia. Along its boundaries is a network of salt marshes, freshwater lagoons, sand banks and reed beds used by both resident birds and migrant water birds. Up to 26 000 birds (253 bird species, of which 102 are water birds) have been sighted at one time, including the near-threatened Cape cormorant and Damara tern. The river mouth also supports 33 mammals, including the Cape clawless otter. The area is deeply challenged, however, by former diamond mining, irrigation farming and numerous dams that draw vast quantities of water from the river.